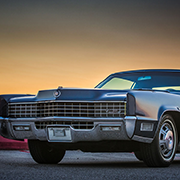 A VISITOR FROM AUSTRALIA | Geralds 1958 Cadillac Eldorado Seville, 1967 Cadillac Deville,1967 Cadillac Eldorado, 1971 Lincoln Continental Mark III and 1978 Cadillac Eldorado Biarritz. I have been knowing Dermot since around 1996 through the internet where we were members in one of the first Cadillac Mailing Lists - the CML. I´m quite sure that the CML was like the first social media platform for Cadillac Enthusiasts. Over the years I had the opportunity to meet some of the members of the CML in real life. I always enjoy meeting other Cadillac aficionados from all over the world and the camaraderie in the Cadillac hobby is just great! 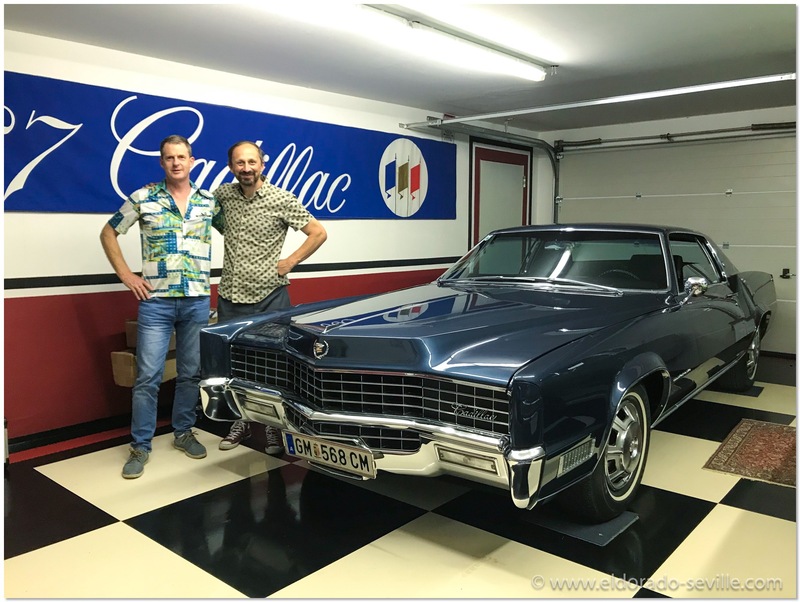 I took Dermot for a spin around town in my freshly restored 67 Eldorado and showed him the rest of my collection. We had a couple of great hours together before Dermot had to keep on travelling Europe.